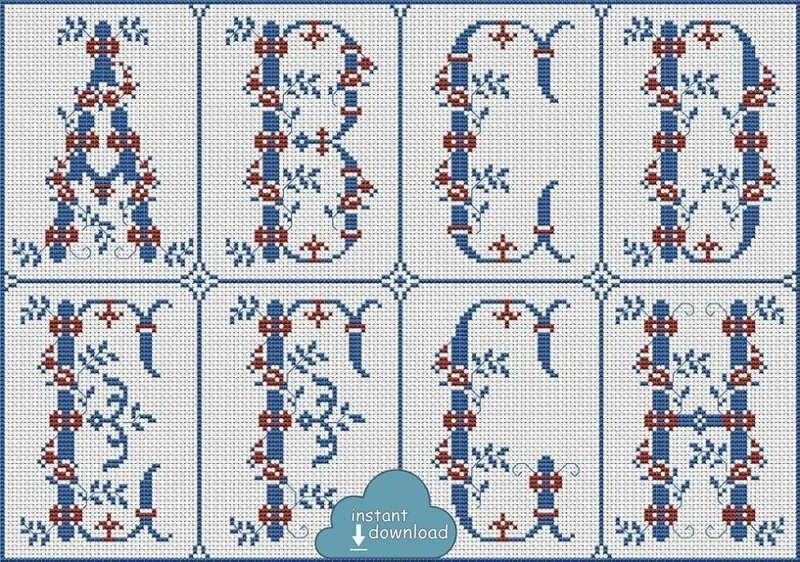 Vintage Alphabet Monogram Cross Stitch Pattern PDF + XSD. Floral ABC Cross Stitch Chart PDF. Instant Download. Old French alphabet design (19th century journal). Nicely composed letters are designed like stems, flowers and leaves. Very classy 2-color floss combination allows you to create many color variations, using matching or contrasting color floss. You can pick up one letter and embroider it as a monogram in a nice frame, or choose two ones for the initials – it’s all up to you!